DETROIT – February 3, 2015 – AAM, a leading manufacturer of axle components, driveshaft components and repair kits for OE vehicles, has announced the availability of its TracRite® GT helical gear designed limited slip style differential case (AAM part #40099548) made for the 11.5” rear axle used in ¾- and one-ton 2003-2012 Ram and 2001-2011 Chevy Silverado and GMC Sierra trucks. Each AAM differential assembly is built to OEM specs because they are the same units made for OEM production use. The TracRite GT torque bias is proportional to the throttle, providing a smooth application of torque to the wheels. Marsh said the TracRite GT provides maximum torque bias without causing a shudder in the vehicle and maintains its torque bias throughout the life of the vehicle. An AAM rebate promotion for its 8.6” gear sets for axle ratios of 3.73, 3.42 or 4.10 started on November 1, 2014 and ends March 31, 2015. Qualifying purchases made during that time period are eligible for a $20 Visa card. 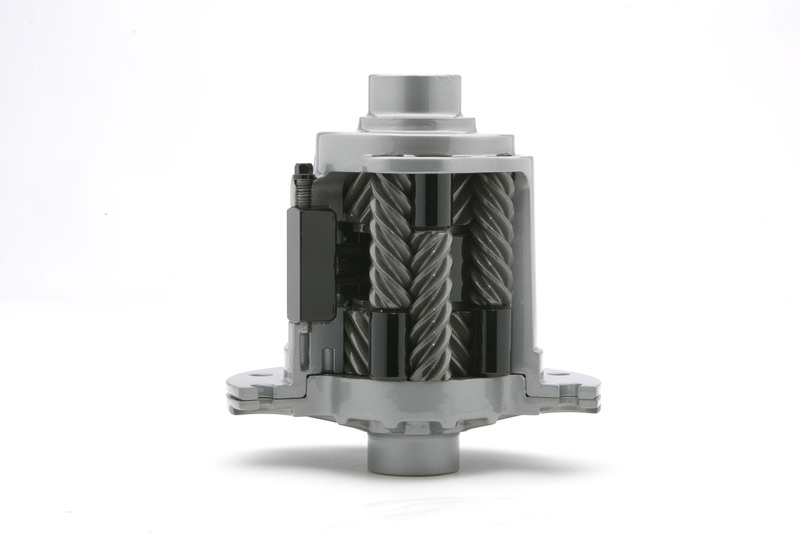 The AAM 8.6” gear sets are designed for a variety of GM vehicles with a 10 bolt rear axle. Click here for more information. AAM parts are the same OEM production parts many shops have come to demand when installing replacement parts. AAM parts fit right, install right and perform right the first time. For more information and to find a local distributor, visitwww.demandaam.com, phone 313-758-4176, or email info@aam.com. AAM Aftermarket provides its customers with high quality, reliability, durability and performance in every aftermarket part it sells. AAM designs, engineers, tests and validates components to meet the same exacting specifications as the parts that they replace. AAM Aftermarket offers a comprehensive line of aftermarket axle and driveshaft components that were originally built for OE vehicle manufacturers. AAM (NYSE: AXL) is a world leader in the manufacture, engineering, design and validation of driveline and drivetrain systems and related components and modules, chassis systems and metal-formed products for light trucks, sport utility vehicles, passenger cars and crossover vehicles and commercial vehicles. In addition to locations in the United States (Indiana, Michigan, Ohio, and Pennsylvania), AAM also has offices or facilities in Brazil, China, Germany, India, Japan, Luxembourg, Mexico, Poland, Scotland, South Korea, Sweden and Thailand. For more information on AAM, please visit www.aam.com.